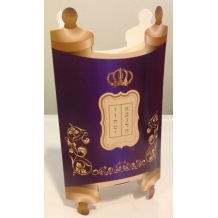 Contains a package of 20 cardstock kiddush cup cutouts with shiny gold on one side. Excellent for scrapbooking and crafts. Measures 4.5 inches tall. ..
32 black and white pages filled with pictures to color, activities to do, and lots of High Holidays learning! Uses Hebrew, English and Yiddish words. Measures 9 x 12. 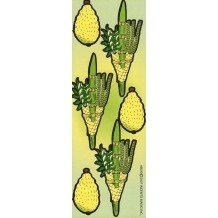 Great for ages ..
6 Sheets per package, 6 stickers per sheet! Ages 3 and Up. 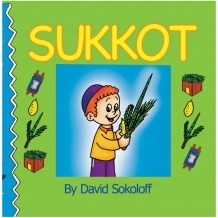 ..
Color, cut and paste away to create a beautiful 3-D cardboard sukkah! Each set contains 12 sets. .. 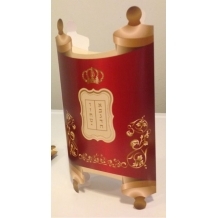 This beautiful realistic looking mini 8 inch sefer Torah is sure to be treasured by the lucky child who receives one. 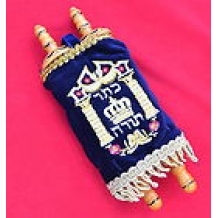 The Torah is covered with a beautiful authentic design on a soft velvet. Every .. 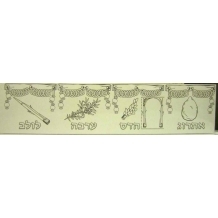 Contains package of 20 kiddush cup cutouts with shiny silver on one side. 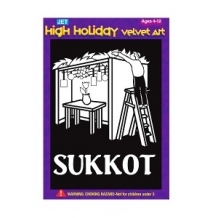 Great for holiday crafts and shabbat crafts! Measures 4.5 inches tall. ..
11 Pages of colorful fun can be find in this little treasure of a book. Each page contains a simple rhyme that makes it a favorite for all ages! The strong board makes it a long las.. This beautiful and easy fold Torah goodie box is an amazing way to give out treats during Torah reading, Chumash party, Shavuot or for any party or event! Torah measures 10 inches tall when folded!.. 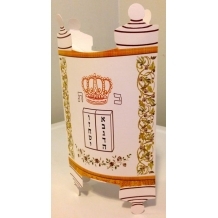 This beautiful and easy fold Torah goodie box is an amazing way to give out treats during Torah reading, Chumash party, Shavuot or for any party or event! Torah measures 10 inches tall w..